You are currently browsing the tag archive for the ‘Arizona Wanderings’ tag. On the brink of the New Year, my mind wanders over the past 80 or so posts and I ask the inevitable question of what am I doing and where is this blog going. I have had numerous encouragements and proposals on what to do with my little world that I have created for myself and my valued readers. As my thoughts began to build into dreams of grandeur, I want to be careful and stay away from the pretentious mindset that my words are gold and everyone is hanging on my every post. At the same time, my number of readers is graciously growing and I wish to provide them with needed content and services. With that stated, I have updated my site and domain name. All new content can be found on AZWanderings.com. Several plans are in the works and over the next weeks and months, regular readers will begin seeing some more changes to the site and additions to the content. The new site’s layout was constructed by my brother (JSumnerdesigns.com) who worked tirelessly to get things ship shape. A new review page has been added that will slowly and honestly chronicle some of my favorite pieces of equipment that see regular use. I have also had several requests from readers to purchase a few of the flies that I tie which I take as a huge honor. Always content to tie for myself and friends, I relish the opportunity to offer one or two patterns for sale in the near future in order to gauge interest. In conclusion, the support and kindness of my readers is invaluable to me. 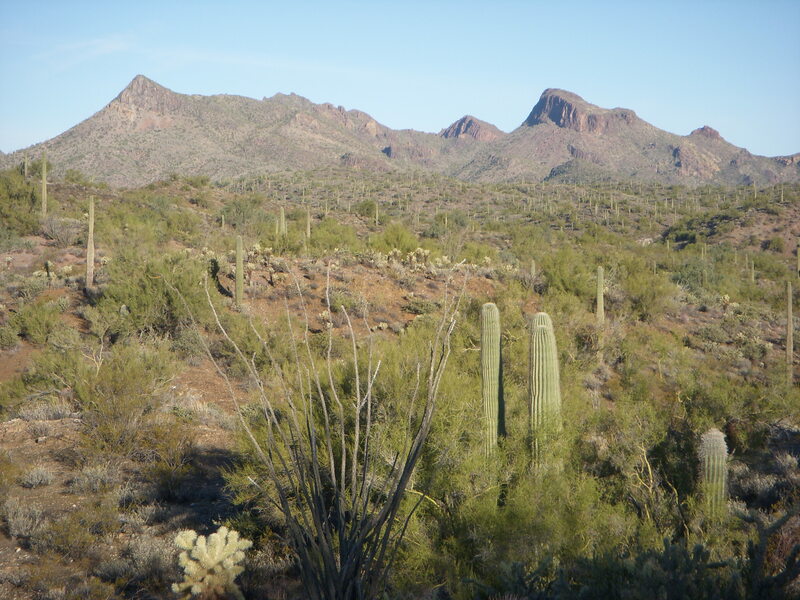 The whole idea of Arizona Wanderings was nothing more than a simple family communication device that has grown and become an exciting project for me that never strays far from my thoughts. I do not consider myself an expert or an authority, but instead a simple man who wishes to enjoy the outdoors and participate in the outdoor community. 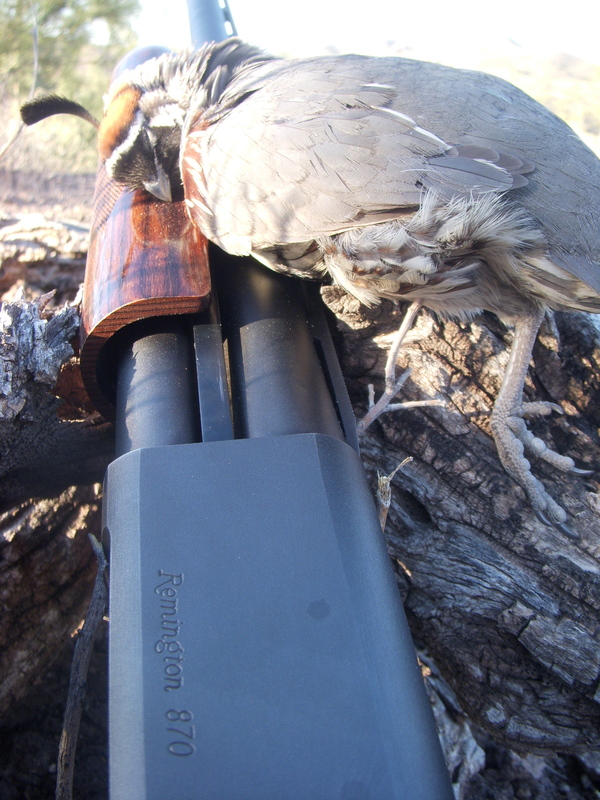 The crack of the 20 gauge split the morning silence and as I gathered the plump Gambel’s hen, I could not help but smile. Normally when tromping through the desert I like to have the heavier 12 gauge which I know has a little more “umff” and, when the birds are spooking farther, can really prove advantageous. Since my decision was last minute, I was out of shells for the 12 and decided to take the smaller 20 gauge for which I had a few more boxes laying around. The 20 gauge is a Mossberg 500CT and will never win any beauty contests. Whenever I show up to hunt with some buddies, it always raises a few eyebrows and looks of disdain. 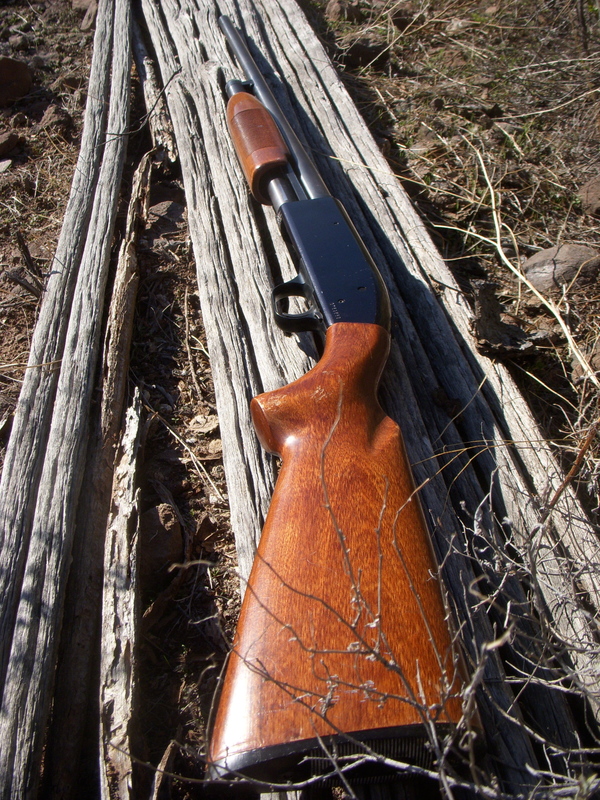 Sure it has more than a few nicks and scratches and sure after every use I have to tighten up the stock so it stops wiggling, but this shotgun has sentimental value, as most older “well loved” guns often do. This particular scattergun used to be my grandfather’s who I am guessing put most of the signs of use into the gun. It was passed to my father who ultimately passed it on to me. Every once in a while, like yesterday, it is nice to break out a classic and go hunt some birds. The weather held cool and sunny and made for perfect walking weather. Early in the morning, I hunted several large coveys and pulled a couple birds from these groups. These large coveys were scattering far ahead of me and took some stealth to get into a respectable distance. Birds were very vocal and there were several times that I had to stop and try and isolate the closest group of birds which was actually difficult with all of the birds calling at once. 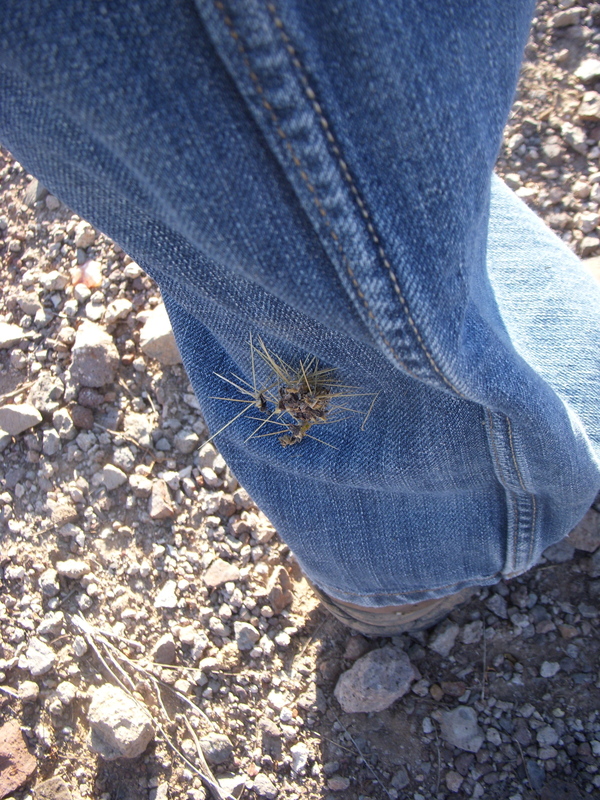 I hunted several ridges out into the desert and then swung around to hunt several adjoining ridges back. The style of hunting changed dramatically and I think it was due to both the hunting pressure that the two different ridges receive and the hour of the day. Regardless, instead of large coveys flushing many yards out, birds were sitting in singles and doubles and would flush literally at my feet. I imagine that this style of hunting is more in tune with the rest of the country’s bird hunting or how it would be to hunt with pointing dogs. Either way, I thoroughly enjoyed jumping several different sets of birds and bagging a couple in the process. This will probably be the last quail hunt for me in the 2010 calendar year. 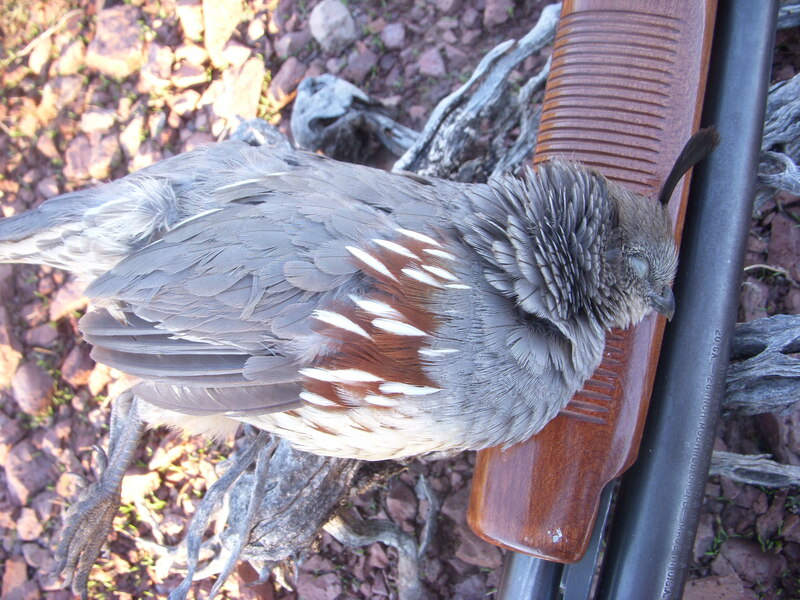 I did not do as much quail hunting as I normally would and I think it is safe to blame fly fishing for that. 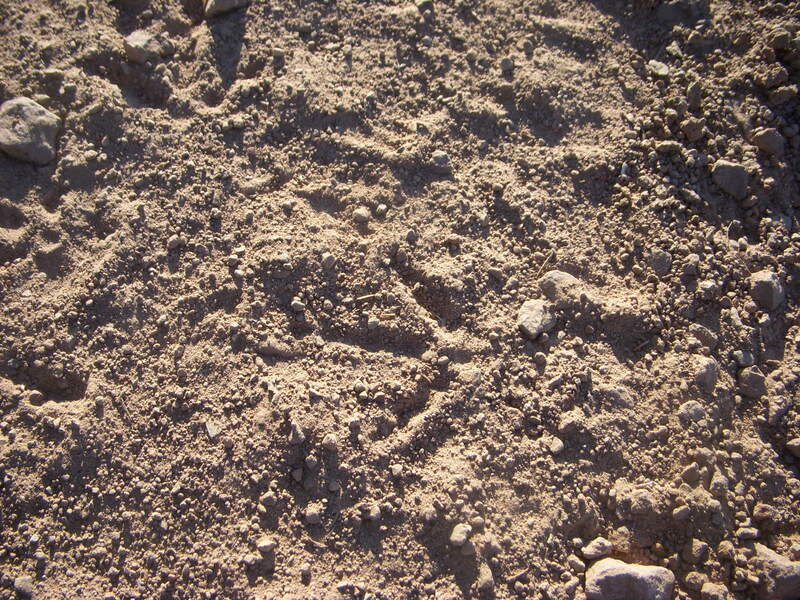 I have been getting geared up for another archery javelina season and I hope to avoid another pig-less debacle like last year. 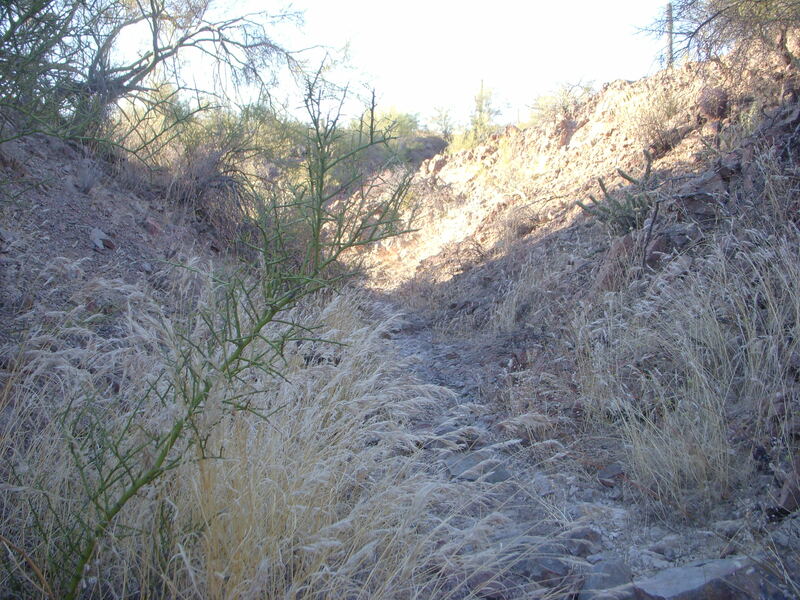 Several new elements are coming to the Arizona Wanderings site and should be going into effect in these next few days. Please check back often and bear with me as I get everything up and running. With a busy weekend ahead and one more week of school before Christmas break, I opted to stay in town and see how the desert looked. 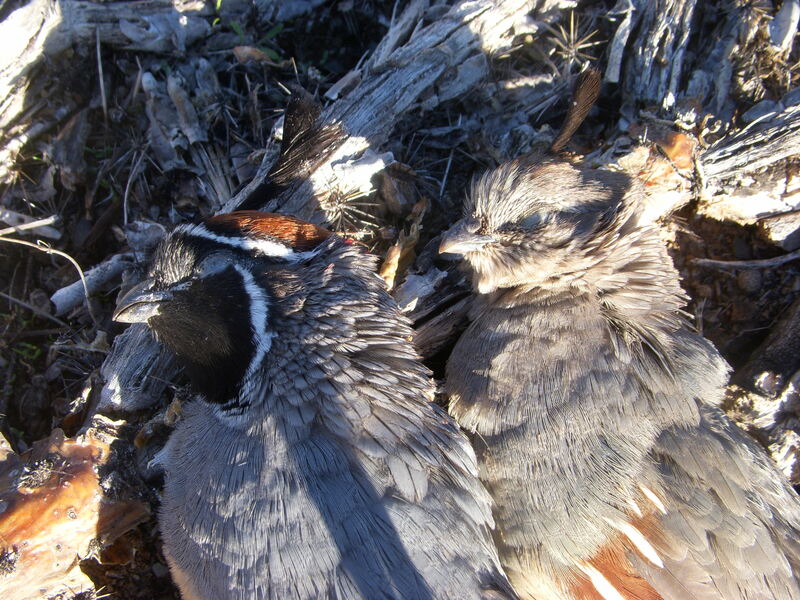 I had not been after quail since opening weekend and as I entered the dry wash and rumbled my way to the spot, I pondered how broken up many of the coveys would be. The season has been open for going on three months and often at this point many of the birds are so skittish it can be difficult to get into range. As I parked the truck and and gulped down the last of my coffee, I could not hear a single bird calling. 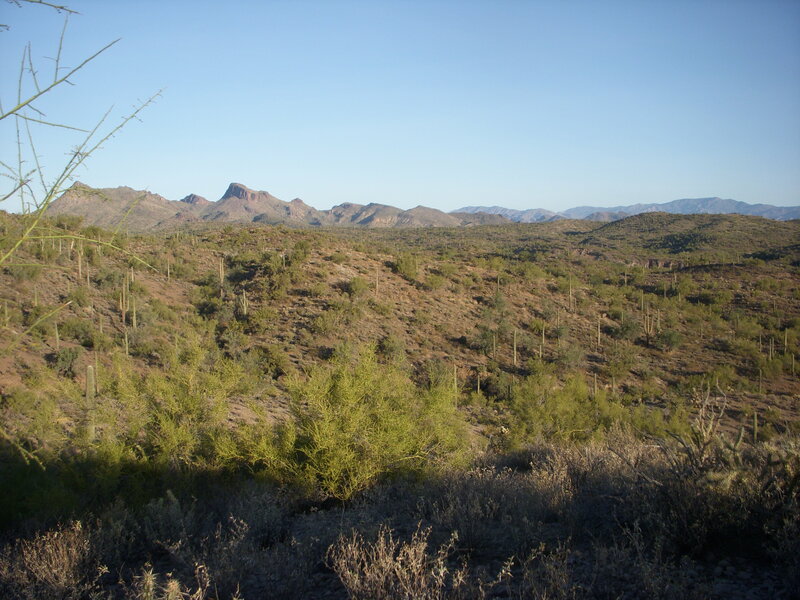 With this less than advantageous start, I began slowly picking my way through cat-claw and palo verde trees, and as the sun began to peak over the hills, the birds slowly started to wake up. Even though I located many different coveys, the birds were definitely on edge and I had to take great care in moving slowly and quietly in order to begin closing the gap. The morning ended with several birds in the game bag and more than a few miles put on the boots. It was pleasant wandering through a familiar area and checking on the usual spots. 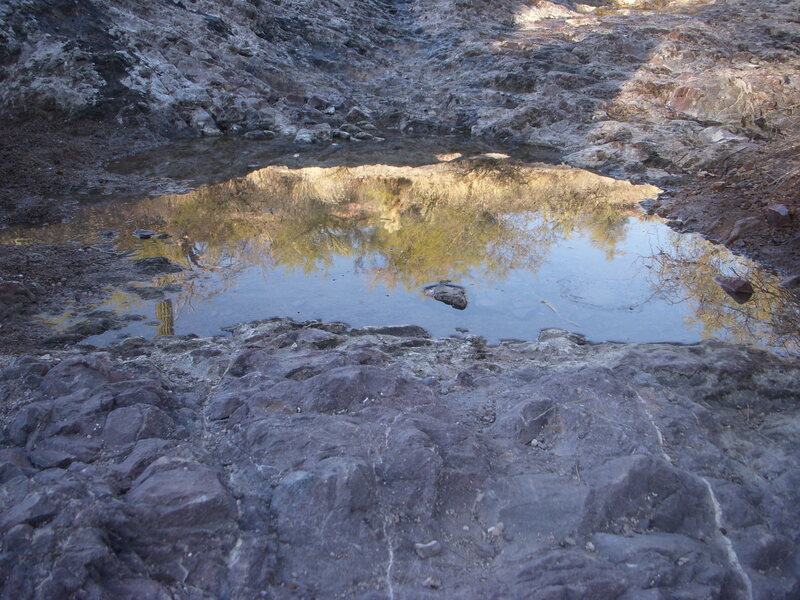 There was a considerable amount of water in the several springs that I checked and there were plenty of birds in the desert. Even though fly fishing has quickly taken over my life and thoughts, chasing quail around the desert is very rewarding. Without a bird dog, my mornings usually consist of locating a vocal covey, stalking in to an acceptable distance, and then letting it rip. After breaking up a covey, I visually follow their flight path and make haste to catch up. After one or two times of this, the birds tend to get real quiet and during these brief intermissions, I enjoy the moment and usually have a seat in the shade while the quail catch their breath. The desert can be extremely beautiful during these restful moments. This serenity is generally forgotten as I mistakenly blunder my way through a patch of jumping cactus, hence the reason I carry tweezers in my bird vest. I believe it was Thomas Jefferson who once said, “A strong body makes the mind strong. As to the species of exercises, I advise the gun. While this gives moderate exercise to the body, it gives boldness, enterprise and independence to the mind. Games played with the ball, and others of that nature, are too violent for the body and stamp no character on the mind. Let your gun therefore be your constant companion of your walks.” Now, in no way do I consider myself exceptionally strong and I do like a good football game, but I think Jefferson was definitely on to something.